Check-In: Fast Lane check-in will be available for this event. All teams who do not participate in Fast Lane check-in must do so one hour prior to their first scheduled game at the registration table located under the Pavilion at the Outdoor Complex in Epping, NH. Requirements for Check-In: Teams must present their US Club or league approved roster, player cards, proof of permission to travel (if required by your state), and guest player approval forms, and completed tournament medical release waivers. Eligible Players: Only those players appearing on the teams travel roster will be eligible to play. Players may only be rostered on one team participating in the tournament. Each team must be prepared to provide a copy of the birth certificate of each player. Credentials: US Club Soccer or USYSA laminated player passes (properly validated by League and/or Registrar) will be required for all players. Any player who fails to provide a player pass before the game will be unable to play. Player passes will be checked before each game. The shirt numbers on the shirt must be the same as shown on team roster. Players must report to game officials if the number on shirt does not match the one on team roster. Guest Players: Five guest/loan players will be permitted per team with properly completed guest/loan player forms. 2. Validated US Youth Soccer Player Passes - includes guest players. *Out-of-state teams should obtain "Application for Travel" forms from their own state offices (if required by your state organization). 5. Guest players must have valid USYS Player Pass, medical release form, and permission to travel from your state. 6. Guest player forms as required by your state association. 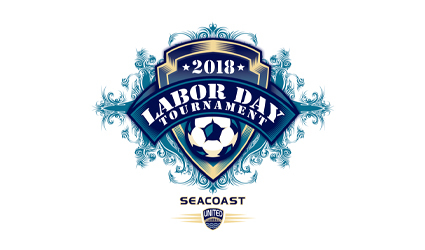 Any club travelling to the SUSC Labor Day Tournament with more than one team may choose to move a player up for any game throughout the event. However, no player is allowed to play in more than five games at the event when moving between teams. The player & coach must have permission from their club director and subsequently from the tournament director before writing the player onto the game roster and presenting his or her pass of the same club during tournament check-in. Listed as below or as determined by the referee. All teams are guaranteed 3 games with qualifying teams advancing to playoffs. Free substitution will be allowed by either team during any stoppage in play. All players must wear shin guards during all matches. Players not in compliance will be CAUTIONED (yellow carded) and sent off the field until the requirement is met. No jewelry may be worn during the competition. Players wearing hard orthopedic casts will not be allowed to play if it determined to be a risk to other players by the referee. Players with cast must obtain game referee’s approval prior to each match to participate. Players shall wear approved cleats. Within the U9 and U10 (7v7) age groups, on goal kicks, the team not in possession must retreat back to the midfield line. This will allow for the start of play and encouragement to advance the ball out of the defensive 1/3 of the field. Once play restarts, players may advance past the midfield line to try to regain possession of the ball. U9: Friendly format (non-competitive), guaranteed 3 games. Defending teams must drop back to half field on all goal kicks, allowing opponent to advance the ball into play successfully. Once the ball has been put in play, the defending team can advance past midfield. - Divisions with 4 teams: Group play, 3 games each. No playoffs for U9 divisions. - Divisions with 6 teams: Group play, 2 brackets of 3 teams. 3rd game is based off of results from the first two games in an effort to arrange the best competitive game for each team. In this case, the 3rd game will not show the team names on the schedule until the results from Saturday's games are posted. - 1 point for each goal scored (max of 3 per game). Losing team receives points also. - 1 point for each shutout. A 0-0 tie will be scored as 4 points for each team (3 points for the tie, 1 point for the shutout); a 4-2 game will be scored as 9 points for the winning team (6 points for the win, plus 3 points for the goals) and 2 points for the losing team (2 for the goals scored). **In the event of a forfeited game, the winner will be credited with a 3-0 win and awarded 10 points. **A game abandoned by another team will result in the opposing team winning. The final score will be based on the score at the time of forfeit. **Teams are allowed 5 minutes from game time to forfeit time. **No points are awarded if neither team shows up. A team will be allowed to play with a minimum of 7 players for an 11v11 match, 6 players for an 9v9 match, and 5 players for a 7v7 match. If the team is not able to field a team after 10 minutes of the start time of the match, it will be considered a forfeit. The game score will be recorded as 1-0 in favor of the team that was present at the game time. In the event of inclement weather, the Tournament Committee reserves the right to modify all tournament rules in order to safely and fairly end the tournament successfully. There will be no refunds for teams withdrawing after the acceptance date of August 15, 2017. In the case of entire tournament cancellation due to inclement weather teams will receive a refund after incidental costs occurred to that point have been deducted from entry fee. Playoff seedings will be determined differently in each bracket depending on number of teams entered. Playoff rounds will take place on Sunday. 4 team division: Teams play 3 games (round robin format), top two will play in the final. 5 team division: Teams play 2 games. 3rd game based on seedings from results of 1st two games: #1 seed advances directly to final, #2 seed plays #3 seed with winner advancing to final, and #4 seed plays #5 seed in a consolation match. 6 team division: Two brackets of three. Teams play the two teams in their bracket, then 3rd game is based on seedings. Winners of "semifinal" games advance to final. 7 team division: Teams play 2 games. 3rd game based on seedings from results of 1st two games: #1 seed advances directly to final, #2 seed plays #3 seed with winner advancing to final. #4 seed plays #5 seed and #6 seed plays #7 seed in consolation matches. 8 team division: Two brackets of four. Teams will play 3 round robin games within their bracket. Top team from each bracket meet in final. If the score is tied at the end of regulation, teams will proceed to penalty kicks to determine the winner. Teams will go 5 rounds, and if tied after 5 rounds, they will progress through single rounds until a winner is determined. Players taking the penalty kicks must be chosen from the 11 (or 9 for U11/12’s) that are on the field and the end of regulation. Will be determined differently in each bracket depending on number of teams. The tournament playoff format will be determined once registration has closed and all schedules have been released. All matches must use federation certified referees. Ryan Faria shall be the referee assignor for the tournament. Protests will not be allowed. Game conduct is under the jurisdiction of the referee and the tournament will not overrule a referee’s decision. The Tournament Director or his designee is the final authority in all matters and reserves the right to alter the format to enhance fair play. Any player or team official ejected from a match, or suspended by the proper authority, shall not be within sight or hearing distance of the field of play during his/her suspension. A player or team official receiving two cautions (yellow cards) in a single game is considered to have been given an ejection (red card) for the purposes of awarding points for the tournament competition. A player or coach who has been ejected (sent off), shall not be replaced and will be suspended from the teams next scheduled match. A player or coach who has been ejected for VIOLENT CONDUCT shall not be allowed to participate in the next TWO scheduled games (subject to review by the Tournament Committee). Any player or team official who assaults a referee will be expelled from the tournament. FIGHTING will not be tolerated for any reason. Players sent off for fighting (striking or attempting to strike another player) will not be allowed to participate in any further tournament games. Players, team officials, or spectators who enter the field of play for any reason in the event of a fight will be ejected from the tournament. If the players cannot be identified, the entire team will be removed from the tournament. No refunds will be made to any team that is removed from the tournament. ONE POINT WILL BE DEDUCTED FROM A TEAMS TOTAL POINTS FOR EACH RED CARD RECEIVED BY A PLAYER OR TEAM OFFICIAL.